On a warm June day in 1984, I was on the cement floor of the venerable Montreal Forum covering my first NHL draft. On a warm June day in 1984, I was on the cement floor of the venerable Montreal Forum covering my first NHL draft. On that historic Saturday, Mario Lemieux was chosen first overall, but offended the hockey community by refusing to wear the jersey of the team that drafted him, the Pittsburgh Penguins. Of course, number 66 eventually settled his contract issues and donned the black and white Pittsburgh colours to become a Hall of Famer and one of the game's greatest players. But later that same afternoon, another name was called that brought only a mild murmur from the hundreds of draft-oholics scattered among those renowned wooden seats with their worn, yet vibrant, red paint. 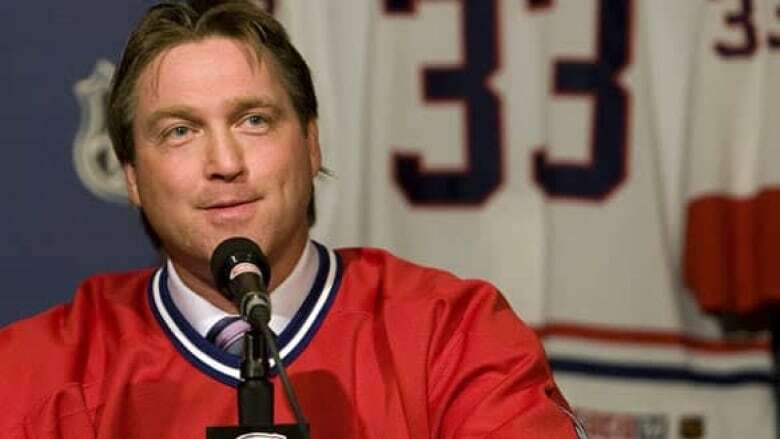 "From the Granby Bisons, the Montreal Canadiens select goaltender Patrick Roy," said the late Brian O'Neill, the league's vice-president at the time. The 51st pick overall was a tall, skinny kid from the Quebec City suburb of Ste-Foy, who would hardly turn heads when he returned to Granby for his final year of junior play. Roy posted a losing record and goals-against average of more than five per game. But a year later, he made the team and was penciled in as the backup to NHL veteran Doug Soetaert. Roy always looked like an unmade bed. There was the messy mop of hair, the teenaged wardrobe to go along with a charming smirk and a raft of nervous ticks. He spoke to the goalposts, stepped over the lines on the ice. And then there was his head. It swivelled almost constantly … tilting from side to side, from chin to chest, his neck protector dangling like a cowbell. It just added to his quirkiness. He was a living Bobble Head, the "Wobbling Wah," I called him. I even thought of designing a doll because by the spring of 1986, he was Montreal's most popular hockey player. General manager Serge Savard and head coach Jean Perron, an NHL rookie behind the bench, had assembled a band of young bucks: Roy, Claude Lemieux, Brian Skrudland, Mike McPhee, Chris Chelios. Alongside them were Bob Gainey and Larry Robinson, legendary greybeards from the Habs' glorious past. I was working for CBC Television by then and watched them put together a Stanley Cup run that was one of the most improbable in the storied history of hockey's most successful franchise. The Canadiens defeated Boston, Hartford, the Rangers and finally the Calgary Flames to capture Montreal's first Cup since 1979. Roy was remarkable, allowing an average of less than two goals a game. There was an unforgettably brilliant effort in Game 3 against New York with Montreal winning in overtime. He was awarded the Conn Smythe Trophy as the playoffs' most valuable player, a performance that elevated him to superstar status. The local media dubbed him, "St. Patrick." More than any other player, number 33 came to represent the "Saint Flannel" during that era. With the abrupt retirement of Guy Lafleur a couple years before, the club needed another francophone icon. Roy's boyish charm and competitive nature had arrived at just the right time. But more Cups didn't come. Roy wasn't always god-like. There were early playoff exits and a challenge to his No. 1 status from Brian Hayward. While it was the best tandem in the league for three straight seasons in the late 1980s, Roy wasn't comfortable sharing the workload and the spotlight and Hayward knew it. That edge that made Roy great but a bit of an enigma too. A bitter loss to Calgary in the 1989 finals stuck in Roy's craw. He hated to lose more than he loved to win and he hadn't been the team's best player when he needed to be. Watching the Flames carry the Cup around Forum ice — still the only visiting team to do that — almost nauseated him. Yet he remained a pro, always willing to chat. His growing improvement in English made him more accessible and added to his aura as the team's leader. That leadership came to the fore in 1993 with another Cup run that cemented Roy's legacy in Montreal. The Canadiens entered the post-season under new head coach Jacques Demers as underdogs to the hated Nordiques. Roy was coming off an ordinary regular season. A newspaper poll of fans showed most wanted him traded. His prodigious pride had taken a pounding. To make matters worse, he gave up a soft goal in each of the first two games in Quebec and Montreal came home down 2-0. 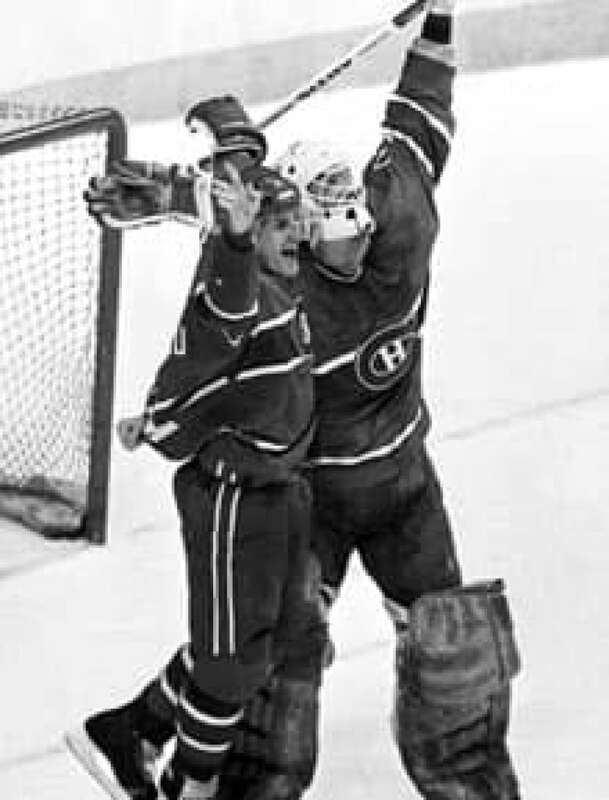 In a stunning turnaround, the Canadiens reeled off four straight wins as Roy stoned the Quebec shooters at every turn to take the Battle of Quebec, the last, as it turned out, of Roy's career. It was the beginning of a record-breaking 11-game playoff win streak, ten of those victories in sudden death — another record. Montreal came up against Wayne Gretzky's Los Angeles Kings in the final, the game's most famous name facing its most famous team. I covered the showdown and can recall in particular, interviewing the exhausted goaltender after Montreal's 3-2 overtime victory in Los Angeles that gave the Canadiens a 3-1 series lead. To hockey fans that saw it, Game 4's most unforgettable image may be the best-known wink in sports history. Roy grinning and winking at the Kings' Tomas Sandstrom after making a miraculous save in overtime, a cheeky moment captured by the camera's of Hockey Night in Canada. But I want to tell you about the least-known guarantee in sports history. Roy had given up two second-period goals in Game 4 then shut the Kings down the rest of the way. He was typically understated. I wanted more, so I talked to Guy Carbonneau about the performance he'd just seen. The captain revealed Roy made a speech in the dressing room after the second period. He told his mates that all they had to do was score one because Los Angeles wasn't going to get another. They didn't … through the third period and 14-plus minutes of sudden death. I went back to Roy and asked him about it. He reluctantly confessed, trying to play it down. He said he just felt that he could come through and that the team needed a lift. I couldn't believe what I'd heard and seen. The guarantee. The wink. You can call them all just examples of Roy's annoying cockiness, his showboating, and his superiority complex. To his overachieving teammates, it's the stuff of championship character, the reason they won the Cup that June and why Roy won his second Conn Smythe Trophy. A decade after Roy was drafted and a little more than a year before he was traded to Colorado, I left Montreal. As a parting gift, the Canadiens gave me a red home jersey with my name on the back adorned with the number one. There was a single autograph scribbled in black on the bright white number. It belonged to Patrick Roy. Though I'd covered him for nine seasons, I'm not sure he remembered who I was. No matter. 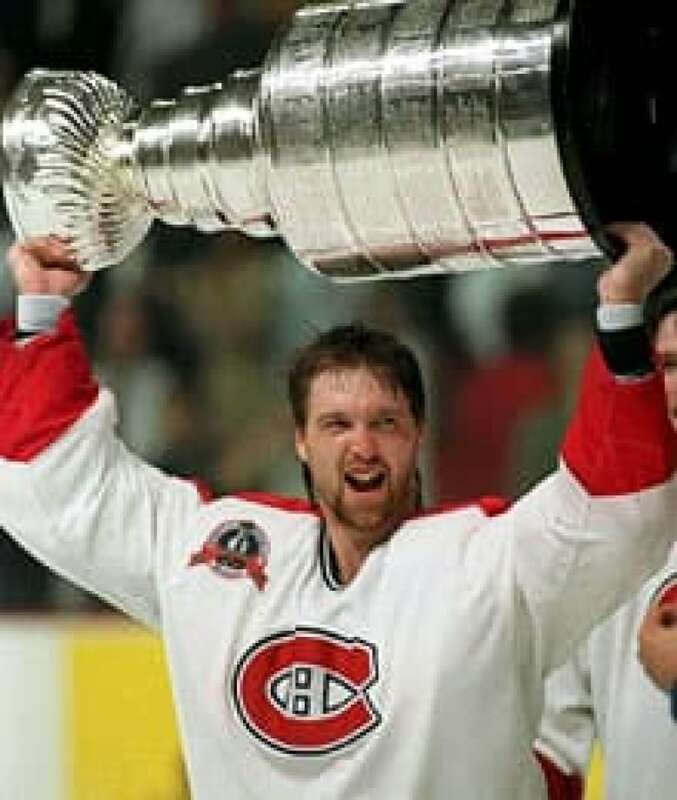 When his jersey is raised at the Bell Centre alongside those of Dryden, Richard, Lafleur and Plante, I will fondly remember the days when number 33 was number 1 in the hearts of Canada's most passionate hockey town.